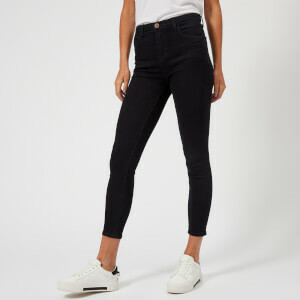 Women’s ‘Anja’ cropped jeans from LA-based denim experts, J Brand. Presented in the brand’s iconic Luxe Sateen fabric, an ultra-soft blend of cotton and modal, the green jeans boast a mid-rise, a skinny fit and a folded cuff. Belt loops, back pockets and a button and zip fly add the finishing touches.